Hi everyone! 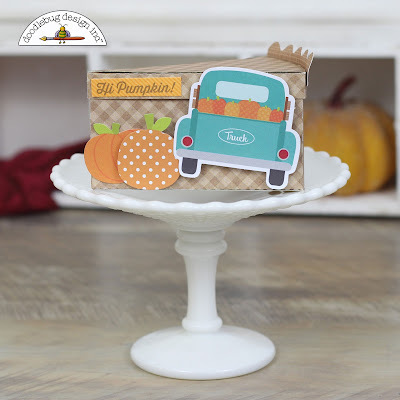 Corri here today sharing a couple of fun hostess gifts for Thanksgiving using the Flea Market Collection combined with some 3d files from the Silhouette Store. First, I made a tag to dress up a bottle of wine. You can fine the tag file here in the Silhouette Store. I cut the flowers from Doodlebug Designs and arranged them on my tag. The sentiment is trimmed from the Flea Market 6 x 6 paper pad. For my second project, I cut this cake slice box by Lori Whitlock with my Cameo from the gigham Petite Prints and embellished my cute box with die cuts from the Flea Market - Odds & Ends pack. This box could hold a small piece of pie or cake or you could fill it with candy. 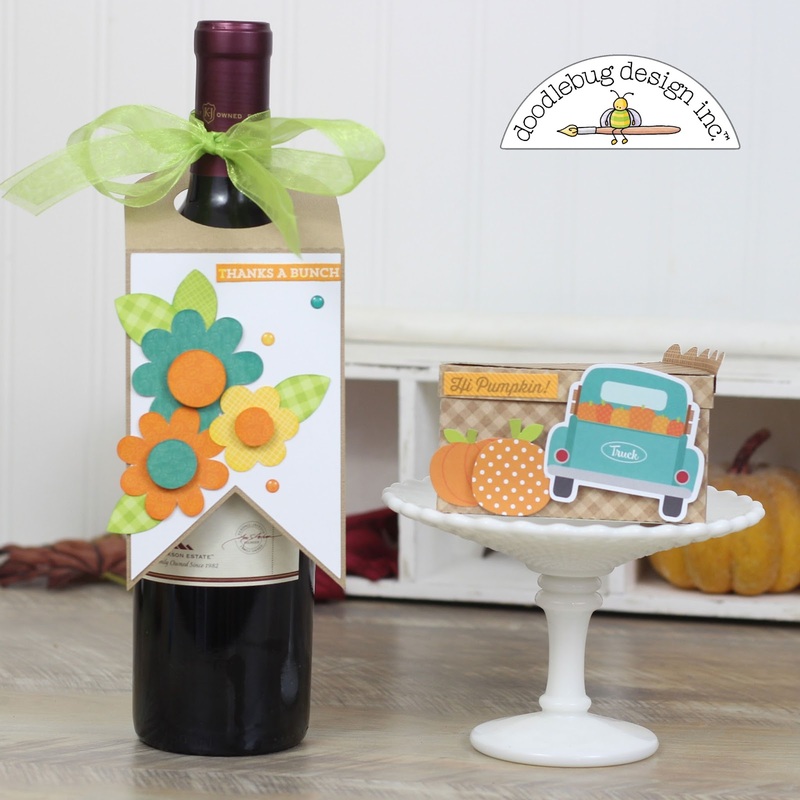 There are so many possibilities for projects when you combine 3d files with die cuts and paper from the Doodlebug Designs Collections. perfect! 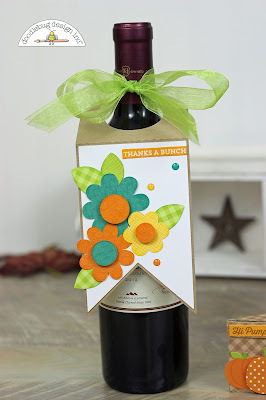 Love the wine Tag! Such a fun gift idea! They both turned out really cute!